It has been said that a "Week's worth of Camp, equals a Year's worth of Sunday School". For those who have had the privilege to experience The Mount Lassen Assemblies of God Conference Grounds (better known as Mount Lassen Camp), it becomes very clear as to why this is. ​But there is more to these conference grounds than just 'Bible Camps' for the AOG. This Camp Ground is open, entirely, to a diverse line-up of groups who wish to experience the beauty of God's creation while also sharing in the respect of inspirational landscapes, provided within the Lassen National Forest. 12Ten.Org has witnessed the potential of this awesome venue and continues to support this venue, by way of technical guidance and the furnishing of event technology. Currently, we are producing a series of promotional videos which show-case the camp and the facilities which it has to offer. 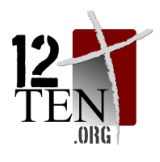 This is a Ministry Outreach of 12ten.org and is only made possible by the support of subscribers and donations.